Amazingly remodeled Bay Colony home with breathtaking views of the bay and wildlife preserve! 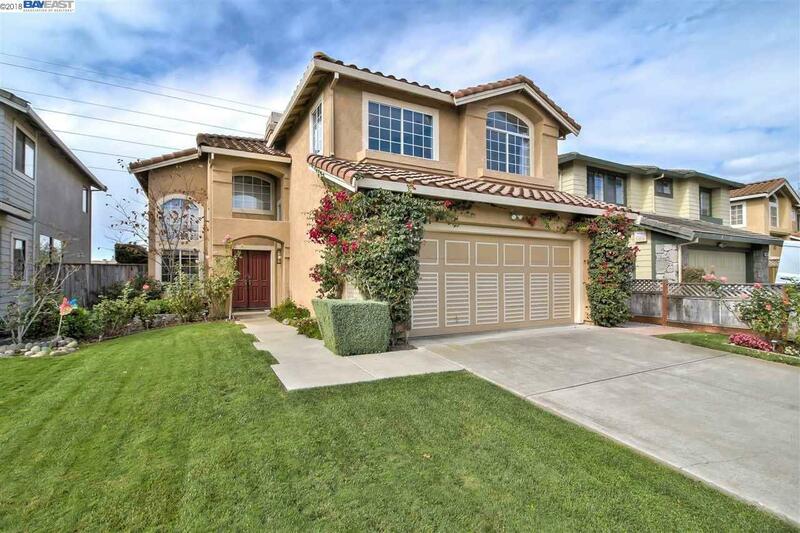 4 beds/2.5 baths, 2 story home enhanced with approx. $150,000 of value in recent updates. Designer remodeled kitchen w/ island, breakfast bar, cherry wood custom cabinetry, granite counter tops, marble backsplash, built-in wine cooler and KitchenAid ss appliances. Highly remodeled designer baths. Spacious master suite w/ high ceilings and large walk-in closets. Master bath shower w/bronze rain shower water fixtures, mosaic tile walls and flooring. Other fine features: high ceilings in the living room and family room, dual sided marble gas fireplace, engineered hardwood flooring in the living room, dining room and family room, interior designer paint, garage w/ storage cabinets and work station. No HOA dues! Backyard w/ manicured lawn area w/ automatic sprinklers and drip system in the planter area, fruit trees, flowering bushes. Close commute to Silicon Valley, 880,84, Facebook and Google.